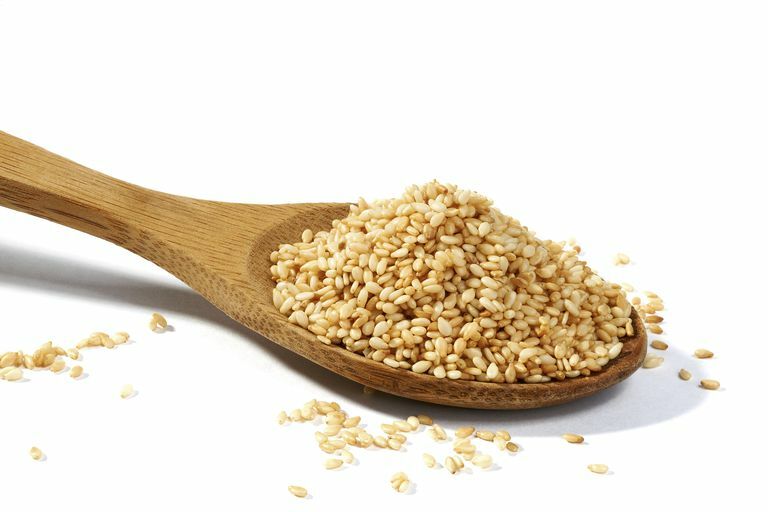 Can Sesame Seeds Help Control Your Cholesterol Levels? Sesame Seeds: Do They Play a Role in Cholesterol Control? There’s a lot more to sesame seeds than just serving as a sprinkling on your hamburger bun—they may possess some heart-healthy benefits. Sesame seeds come from the sesame plant (Sesamum indicum), which is grown in various areas of the world, including India and Africa. They are commonly used in certain dishes found in Asian and Middle Eastern cuisine. These seeds are chock-full of nutrients, including protein, manganese, vitamin E, unsaturated fats, and fiber. The health benefits of sesame seeds have been known for centuries, and they have been used in Chinese and Indian medicine to treat certain medical conditions, including skin infections, baldness, and promoting dental health. Sesame seeds, as well as the individual ingredients found in the seed, have also been studied in the treatment of diabetes, certain bowel diseases, and high blood pressure. Some studies also suggest that consuming sesame seeds may be able to help lower your cholesterol and triglyceride levels, too. Can Adding Sesame Seeds Lower Cholesterol? There have been a few studies looking at the effect of sesame seeds on lipid levels, but the results have been mixed. Most of these studies included people who already had high cholesterol and/or high triglyceride levels. People using sesame seeds to control their lipids consumed anywhere from 25 to 50 grams of sesame seeds – or seeds ground into a powder – daily for up to two months. Because sesame seeds are high in fat, many studies replaced calories normally consumed in the diet with sesame seeds instead of adding them to their daily diet. Lowered LDL cholesterol by between 8 percent and 16 percent. Lowered total cholesterol levels by an average of about 8 percent. In some of these studies, there was a slightly positive effect on HDL cholesterol and triglycerides but this effect was not significant. How Do Sesame Seeds Affect Your Cholesterol? Sesamin: Studies have shown that this plant lignan can help block absorption of cholesterol from the small intestine and lower activity of the enzyme HMG CoA reductase, which is involved in making cholesterol in the body. One study showed that 3.6 mg of sesamin lowered LDL by 16 percent and total cholesterol levels by 8 percent after two months. Alpha-linoleic acid: Also known as ALA, this and other omega-3 fats have been shown to help lower triglyceride levels. Studies looking at consuming 3.5 grams to 4.5 grams of sesame oil a day for up to two months have shown promising results in lowering triglycerides, LDL, and total cholesterol levels, and also slightly increasing HDL levels. Soluble fiber: Foods high in soluble fiber can help modestly lower LDL cholesterol levels in the blood by preventing absorption of cholesterol into the bloodstream. There are a few promising studies that have shown that sesame seeds can lower lipid levels. However, there are other studies that suggest that sesame seeds do not have a significant impact on your lipids. So, the verdict is still out as to whether or not sesame seeds can be used to help lower your high cholesterol or triglyceride levels and more studies are needed to establish this link. Incorporating sesame seeds when baking some of your whole grain breads and muffins. Tossing in a spoonful of these seeds on top of your salad. Mixing your sesame seeds with granola, nuts, and other seeds as a snack. Sprinkling sesame seeds on top of your favorite entrees. Using sesame oil in your cooking, such as lightly sauteing foods. Even though sesame seeds are high in healthy fats, they can also be high in calories, especially if you consume a lot of them. So if you would like to include this tasty seed in your cholesterol-lowering diet, make sure that you are keeping track of how much you add to your foods. Alipoor B, Haghighian MK, Sadat BE, et al. Effect of sesame seed on lipid profile and redox status in hyperlipidemic patients. Int J Food Sci Nutri 2012; 63: 674-678. Haghighian MK, Alipoor B, Sadat BE et al. Effects of sesame seed supplementation on lipid profile and oxidative stress biomarkers in patients with knee osteoarthritis. Health Prom Perspect 2014; 4: 90-97. Mirmiran P, Bahadoran Z, Golzarand et al. Ardeh (Sesamum indicum) could improve serum triglycerides and atherogenic lipid parameters in type 2 diabetics: a randomized clinical trial. Arch Iran Med 2013; 16: 652-656. Natural Standard. (2014). Sesame [Monograph].